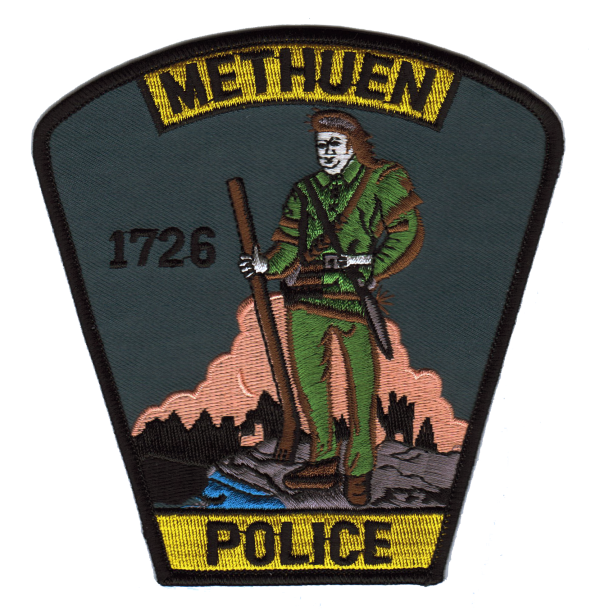 METHUEN — Mayor Stephen Zanni and Chief Joseph Solomon report that the Methuen Police Department arrested and charged a teenager after he allegedly led police in multiple communities on a pursuit with a stolen vehicle. Police are now seeking a second suspect, believed to be a juvenile female, who was driving a second stolen vehicle and was part of the chase. On Thursday at 2:10 p.m., Methuen Police were notified by Dracut Police that they had just terminated a pursuit with two stolen motor vehicles at the Methuen-Dracut line. Officers were told to be on the lookout for a white Toyota Sienna minivan and a white Lexus IS-250. Both motor vehicles had been reported stolen out of Lowell. Methuen Police soon located the vehicles, which were traveling together, and officers attempted to affect a traffic stop. The drivers refused to stop, and led police on a pursuit that lasted approximately two minutes before officers deployed the Stop Stick brand tire deflation device, which was effective in slowing both vehicles. The male suspect, operating the Lexus, exited the vehicle near 212 Haverhill St. and tried to run away but was quickly taken into custody by police. The driver of the Toyota, a young female, fled the area. Police are now searching for her.